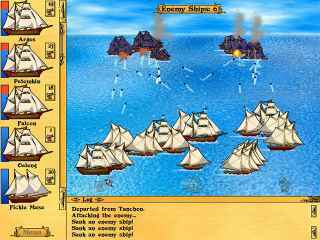 Free Download Tradewinds Classic Game or Get Full Unlimited Game Version! Travel back in time to a world of danger and mystery where buying and selling exotic goods can lead to untold wealth...or ultimate doom! In order to get advantaged of playing Tradewinds Classic full unlimiteg game version you must register the game. Travel back in time to a world of danger and mystery; a place where the open waters can mean anything but smooth sailing. Set in the 19th century Far East, go back to the very beginning where buying and selling exotic goods, or collecting bounties on previously thought-to-be-dead pirates, can lead to untold wealth...or ultimate doom. With enough wisdom, courage and luck you too can become a Tai-Pan! Buy Low, Sell High And Build Your Fortune! Choose From 4 Unique Characters! Buy More Ships To Dominate The Seas! Collect Bounties By Defeating Villainous Pirates! 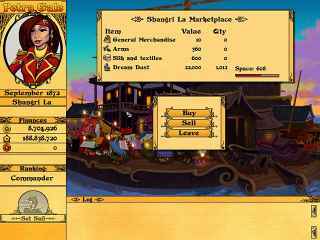 Amass a fortune trading goods and fighting pirates! Encounter a fascinating new world and discover uncharted ports! Travel along the dangerous Silk Road trading exotic goods and engaging in real-time battles as you build the most powerful trading caravan in history! Guide five unique heroes as you embark on epic quests throughout Ancient Greece, where gods, heroes and monsters of legend await!